Stamped Sophisticates: Powder Pink Delightful Daisy from Stampin' Up! Daisy Daisy, give me your answer do. We'll, enough of my off-key singing. I pulled out my Daisy stamp and coordinating punch and felt very fortunate today. I know many of you are waiting for this wonderful punch to come back into stock so your can order it. The Stampin' Up! inventory report is still estimating availability on June 26. 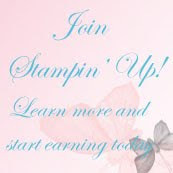 While waiting, take a class with your closest Stampin' Up! demonstrator. 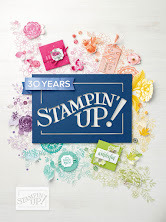 He or she likely has the punch as Stampin' Up! sold a full year's worth of Daisy Punch inventory in two months during the demonstrator pre-order period and contact the vendor to place more orders as soon as they saw the popularity of this punch. Demos who have the punch are posting so many cute ideas for using this stamp set and punch that you'll have a ton of ideas for using it by the time its back in stock. Here's my latest creation using this set. While most of my early samples have used the Delightful Daisy Designer Series Paper, today I paired it with the Powder Pink Fresh Florals Designer Series Paper today. This card went together so fast! I stamped the daisy in Power Pink on a Whisper White image block. Then I stamped and punched another Daisy and offset the two images to give more fullness to the Daisy. The Daisy Delight stamp set includes the small daisy that I used as a boarder under the punched Daisy. I added a bow of Whisper White Bakers twine between the two rows of border daisy. Then I grabbed a sentiment from Colorful Season set and a Clear Faceted Gem for the Daisy Center and my card was done. This suite is already so popular! I'm holding orders, ready to be placed on June 26. You can save 10% by purchasing the Daisy Delight stamp set and the Daisy Punch together as a bundle. 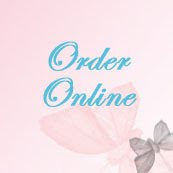 Use bundle number 145361 to order the bundle vs. the individual items. Let me know if you want me to hold your order ready to place on June 26 so you won't miss getting this bundle.